Hi there and happy Thursday! 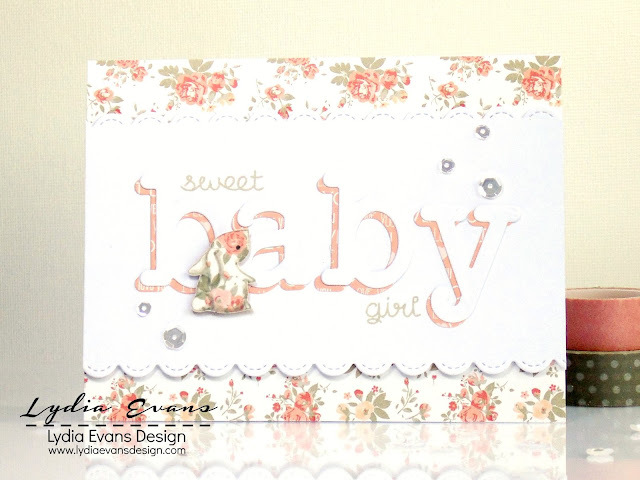 Lydia here with you today and I have a super sweet baby card to share with you today, and although this one is for a baby girl by just switching the papers out for shades of blue it could quite easily be for a baby boy. 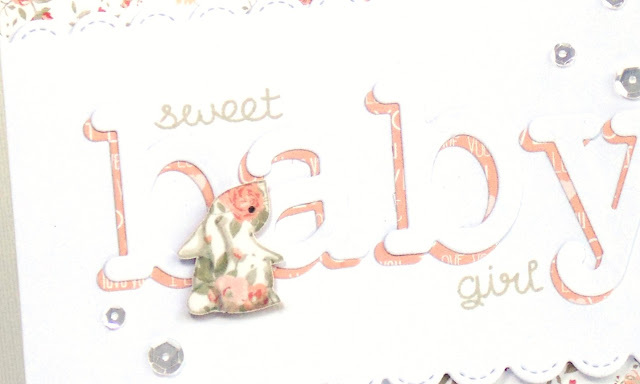 For the stamped sentiment and cute little paper-pieced bunny I have used Lawn Fawn 'Hello Baby'. 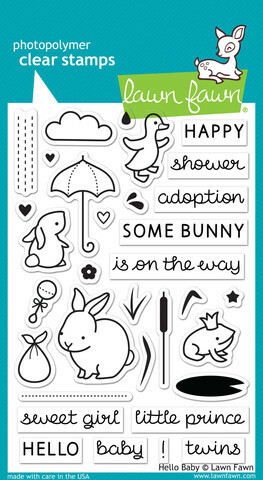 Isn't that bunny the sweetest stamped onto the same paper from the background?!?! 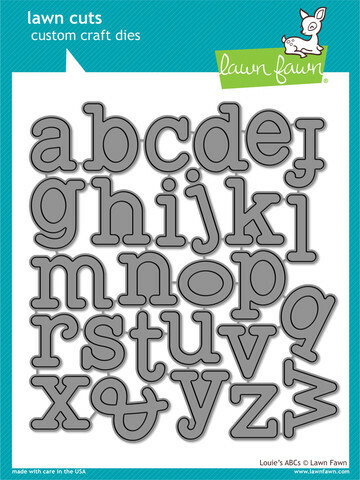 The 'baby' I cut using Louie's ABC, I cut the word twice once from white card and also from some pink patterned paper. I layered the white sightly off-setting the pink to create a pink shadow effect. For the scalloped panel I used the midi size of the Lawn Fawn 'Stitched Scalloped Borders' I just love these to add a bit of detail and interest to an edge.